Surprise someone now with a stunning pink orchid and add some extra colour to a special day from far away. Send orchids online with FloraQueen’s international delivery service and share a fresh surprise prepared by expert florists. Perfect for surprising a special woman in your life. There’s no flower more refined than an orchid and with FloraQueen sending orchids online is easier than ever before. We can deliver these beautiful plants in over 100 countries in almost no time at all. An orchid delivery is a great way to welcome a new baby, celebrate a birthday or show your love for your sweetheart. Let us explain how an international orchid delivery works in more detail. Select a date of delivery - We can schedule orders as much as 3 months in advance of their delivery date! Once your order is confirmed we’ll take care of the rest. 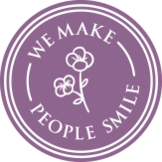 Our goal is to make sending flowers and orchids all over the world simple. There’s nothing quite like receiving a fresh orchid to your door. We always send the freshest orchids and flower arrangements thanks to our flower centres across Europe and our many local florists in cities and towns all over the world. Orchids are elegant, exotic and attractive flowers, known for their ability to communicate love and luxury. If looked after properly, with semi-regular watering by submersion, a good location and some pruning after each period of blooming, they can rebloom multiple times and last as much as 120 days and beyond. 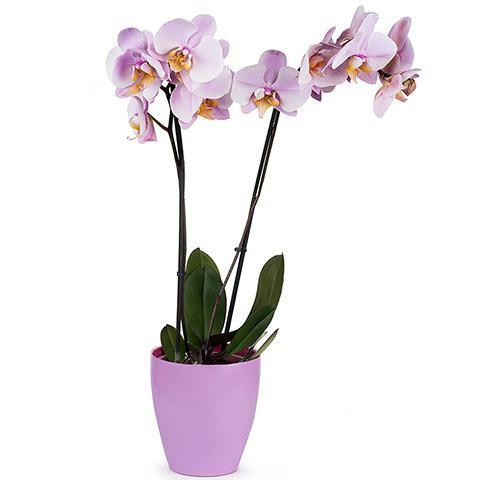 An orchid adds a beautiful touch of class to any home for long after it arrives on a special day.